One year after the launch of NYC Ferry, Mayor Bill de Blasio announced that ridership along the city’s waterways could grow to as many as 9 million annual passengers by 2023. This is twice as many passengers as were initially projected, so in anticipation of commuters abandoning the subway and flocking to ferries, the city will be nearly doubling its fleet of boats. For this purpose, $300 million has already been socked away for use over the next several years. The funds will go towards three new 350-passenger capacity ferries (by late this summer) along the busiest routes and a second homeport where ferries will be maintained and repaired. There will also be improvements to the two main ferry terminals, Pier 11/Wall Street and East 34th Street. These include wider gangways and new bow-loading locations to increase the number of vessels that can dock simultaneously. Infrastructure improvements and upgrades are also planned for existing barges and landings to accommodate larger crowds. Eight charter vessels will also be deployed this summer, each with capacity between 250-500 passengers. Commuters will also see increases in service. Boats will be arriving every 20-30 minutes on weekdays and weekends on all four routes. Additionally, beginning on Memorial Day Weekend, Governors Island will be the last stop on the East River and South Brooklyn routes. This is aimed at increasing service to the popular summer destination. No changes were mentioned specifically for the ferry stop at Stuyvesant Cove, although it, along with four other stops on the Lower East Side route, is expected to open late this summer, which would be on schedule. On Thursday, December 7, Brian Kavanagh, who had served as Assembly member representing Manhattan’s 74th District for 11 years, took the oath of office for his new role as state senator. While his Assembly district, which included Stuyvesant Town, Waterside, Tudor City and a handful of other East Side neighborhoods, is now vacant, Kavanagh’s new beat, the 26th Senatorial District, formerly represented by Daniel Squadron, spans part of Brooklyn’s waterfront and much of Lower Manhattan. Just days before Kavanagh officially began his new position, he met with a Town & Village reporter at a Pret sandwich shop near his legislative office (since the office itself was already packed up in boxes) to discuss his reason for switching chambers and how he still plans to fight for affordable housing. If you missed the recent town hall with Mayor Bill de Blasio hosted by Council Member Dan Garodnick, you can still share your thoughts with the mayor at another town hall on October 12 at 7 p.m. to be hosted by Council Member Rosie Mendez. The event is intended for residents of the Council District 2, encompassing the neighborhoods of East Village, Gramercy Park, Kips Bay, Lower East Side, Murray Hill and Rose Hill. Along with Mendez, co-sponsors are Manhattan Borough President Gale A. Brewer, Assembly Member Brian Kavanagh, Community Boards 2, 3, 5 and 6, Grand Street Settlement, Henry Street Settlement and the Loisaida Center. Along with the mayor, commissioners and NYPD representatives will be present. Mendez, in an email to constituents, has also mentioned the following rules: Each constituent who is called on to ask a question will be able to ask one question. No signs will be permitted into the event. Chanting is not allowed. Candidates running to replace term-limited City Councilmember Rosie Mendez met to discuss the central issues of their campaigns at the Boys & Girls’ Republic on the Lower East Side this past Monday night. District 2 covers the area west of Stuyvesant Town and Peter Cooper Village to Fifth Avenue, covering Flatiron, the East Village, Alphabet City and parts of the Lower East Side, and stretching up to Kips Bay. Democrats Ronnie Cho, Juan Pagan, Carlina Rivera, Jasmin Sanchez, Mary Silver and Jorge Vasquez and Republican Jimmy McMillan appeared at the forum to talk about affordable housing, small businesses, issues important to seniors and education. Democrat Erin Hussein is also running for the seat but was unable to attend the debate. The Henry Street Settlement, along with the Women’s Political Caucus of New York, sponsored the event and Henry Street executive director David Garza moderated the discussion among the candidates. Garza started the conversation by asking the candidates to outline what they feel is the most important issue for the district and what they plan to do. This year, St. Patrick’s Day falls on Tuesday, March 17, and for those looking for a way to celebrate the day when everyone’s Irish (that doesn’t necessarily involve pounding down pints of Guinness), Town & Village has you covered. Read on for information on some local events celebrating Irish culture and/or St. Patrick on Tuesday and throughout the week. On Friday, March 13 from 6:30 p.m.-7:30 p.m., the Merchant’s House Museum, 29 East 4th Street, presents the “Spirit of the Irish Candlelight Ghost Tour.” On this candlelit tour, guests will learn the history of the house where eight people died, and hear true tales of inexplicable occurrences from those who actually experienced them. Many of the most peculiar occurrences have been related to the Tredwells’ Irish servants, and so this special tour will include the 4th floor servants’ quarters. The New York Times has called the Merchant’s House “Manhattan’s Most Haunted House.” Admission is $25, $15 for museum members. For more information, call (212) 777-1089 or visit merchantshouse.org. On Friday, March 13 at 8 p.m., New York University’s Glucksman Ireland House presents “The Blarney Star Concert Series” with Noel Hill and Martin O’Connell. 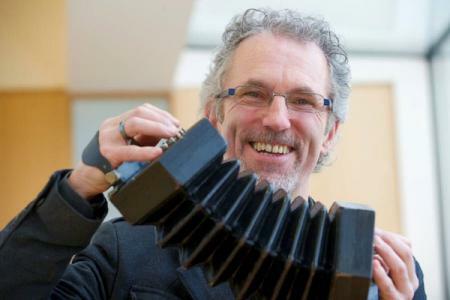 Concertina player Noel Hill, of County Clare, is known for revolutionizing the sound of the little hexagonal-ended squeezebox, bringing to it a repertoire and chordal accompaniment style borrowed from the uilleann piping tradition. For this show, he’ll perform with Martin O’Connell, a younger Kerry native who’ll play the two-row button box accordion. Free admission to NYU students and faculty with a valid ID card. For non-members, a $15 donation at the door for the Blarney Star Concert Series is requested. Tickets are available at the door only; no reservations will be accepted. For more information, call (212) 998-3950. On Saturday, March 14 at 1 p.m. and Sunday, March 15 at noon, Big Onion Tours presents a guided walk through the former “Little Ireland” district of the Lower East Side, between City Hall and Houston Street. This family friendly tour will explain why St. Patrick’s Day is more popular here than in Ireland. Stops could include: the founding site of the Ancient Order of Hibernians, Al Smith’s home, the Five Points, the first Catholic church in the city, and sites associated with Tammany Hall, Thomas Addis Emmet, and many others. The group will meet directly in front of St. Paul’s Chapel, Broadway between Fulton and Vesey Streets. Admission is $20 for adults, $15 for full-time students with ID and seniors 65 and up. Paying in advance is suggested at http://www.bigonion.com. On Sunday, March 15 at 12:30 p.m., the Merchant’s House Museum presents the “St. 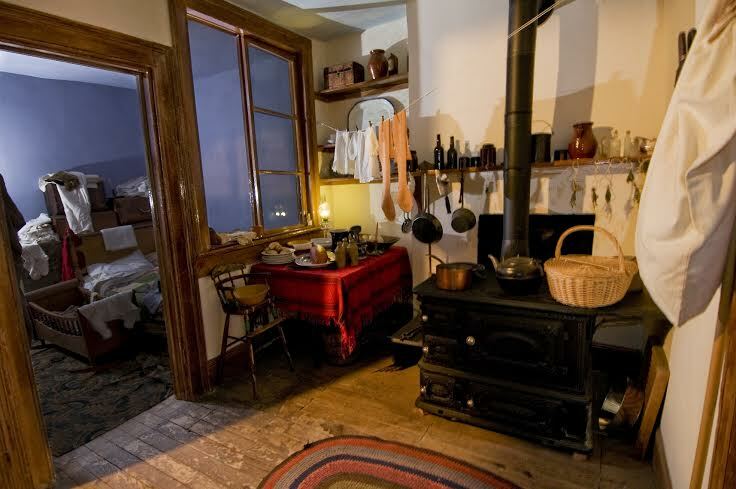 Patrick’s Day Celebration: A Tribute to the Tredwells’ Irish Servants.” This tour will invite participants to climb the house’s narrow staircase to the newly restored fourth-floor servants’ quarters and see where the Tredwells’ four Irish servants lived and did some of their work. The tour will explain why it would have been impossible to run a home like the Merchant’s House without them. Admission is $10, $5 students and seniors, free for children under 12. Reservations not required. For more information, call (212) 777-1089 or visit merchantshouse.org. On Sunday, March 15 at 3 p.m., the Church of the Epiphany at East 22nd Street and Second Avenue presents a free concert with Epiphany’s Adult Choir and guest instrumentalists. The program will include Irish and St. Patrick’s Day related hymns from the chorus with more Irish and Irish-inspired music in a variety of genres from guest professional singers and instrumentalists, including drummers, flutists and harp players. Stuyvesant Town fitness instructor Tim Haft will present two holiday themed classes (followed by happy hour drinking at Otto’s Shrunken Head for those looking to balance holiday debauchery with something healthy). Haft will offer his weekly Punk Rope class on Monday, March 16 at 7 p.m. the 14th Street Y, 344 East 14th Street. Admission is $12. His new MoshFit class, offered weekly at Otto’s Shrunken Head, 538 East 14th Street, will take place on Tuesday, March 17 at 6:15-7 p.m. Admission is pay-what-you-wish with a suggested amount of $12. Both classes will be followed by happy hour at Otto’s with drafts and well drinks priced at $4 (Monday from 8:30-11 p.m., Tuesday until 8 p.m.) For more information, visit punkrope.com/mosh-fit. The Lower East Side Tenement Museum, 103 Orchard Street, is offering a tour of the restored home of the Moore family, Irish-Catholic immigrants who started a new life in Kleindeutschland (now the East Village). The tour reveals how this family dealt with being “outsiders” at 97 Orchard, and how the Irish more broadly created a strong sense of American Irish identity through the St. Patrick’s Day Parade. This “Irish Outsiders” tour, which is recommended for ages 12 and up, is actually offered daily a few times a day. On Tuesday, March 17, it’s given at 12:15, 3:15, 3:45, 4:15 and 4:45 p.m. For schedules on other days throughout the week, call (877) 975-3786 or visit http://www.tenement.org. Booking tours online is recommended since some tours sell out. Admission is $25 for adults and $20 for students and seniors. Irish Repertory Theatre, which stages works by Irish and Irish-American playwrights, is currently running the show “Da,” at the theater’s temporary space at DR2 Theatre, 101 E. 15th St., through April 5. “Da” runs eight times each week, including on St. Patrick’s Day, with Tuesday performances at 7 p.m. In this play by Hugh Leonard, a man named Charlie returns to his childhood home in Dublin in 1968 after his father’s funeral only to find the stubborn patriarch’s ghost unwilling to leave the house. Immediately, Charlie and his father (his “da”) start bickering as they did in life. 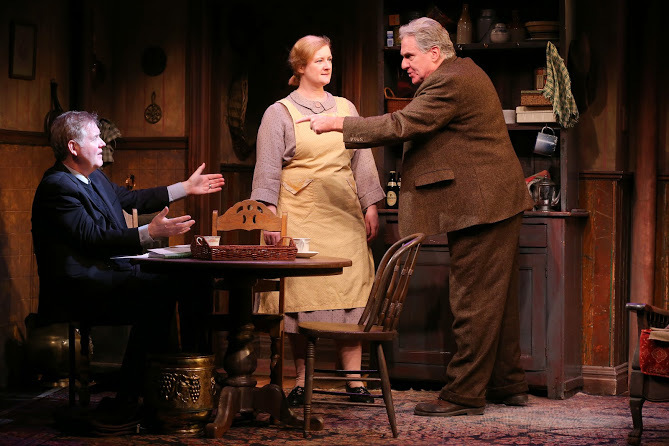 Town & Village theater critic Peter Von Mayrhauser recently called the banter “wildly funny,” noting that “playwright Leonard has a great ear for Irish blarney.” Director is Charlotte Moore. Tickets are $70 and can be bought online at irishrep.org or by calling (212) 727-2737. Horse Trade Theater Group presents “Naked Girls Reading: The Emerald Isle,” on Wednesday, March 18 at from 8-10 p.m. at Under St. Marks, 94 St. Marks Pl. 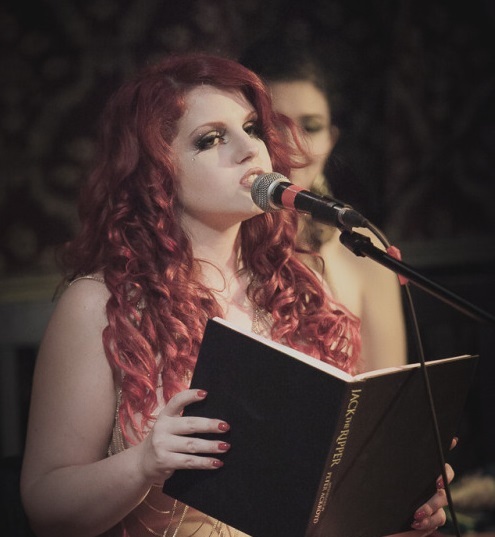 “Naked Girls Reading” is a monthly literary salon featuring readings by local burlesque performers and others who strip down to nothing. This month, readers will share literature, history, musings and more by and about Ireland’s greatest authors: classics by Oscar Wilde and James Joyce; selections from contemporary authors; traditional folk tales and stories; and musings on the demon Drink by authors from Ireland and beyond. Host Nasty Canasta will be joined by Evelyn Vinyl, Nina La Voix and Stormy Leather for this in-the-buff celebration, which they’ve promised will not involve green beer or foam leprechaun hats. Cover is $25 (two for $40). For tickets, visit http://www.horsetrade.info/under-st-marks. Give us your poor, your homeless, your isolated, your elderly, your mentally ill, your hoarders on the brink of getting evicted. This is essentially the mission statement of a nonprofit organization that has been based out of the Sirovich Senior Center building on East 12th Street for the past 28 years. Called Project ORE, its focus is on helping people who fall into those categories, as well as observant Jewish seniors, whether the assistance comes in the form a hot kosher meal or advocacy in housing court. Project ORE is named after the Hebrew word for light as well as being an acronym for Outreach to the Elderly. 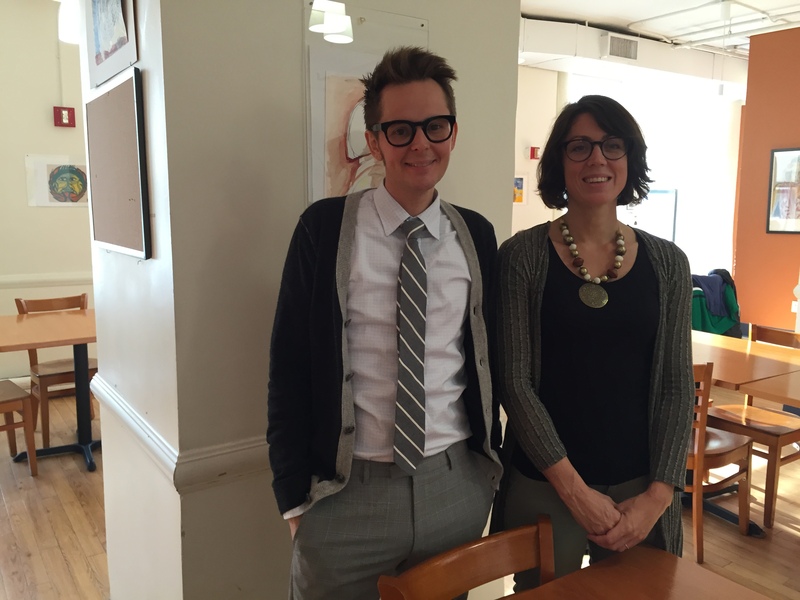 It’s run by the Educational Alliance, the parent organization of Sirovich as well as the 14th Street Y. While almost all of its members are seniors, Project ORE isn’t technically a senior center. In fact, to even qualify for ORE’s services, participants have to be older adults who fall into three of the following categories: Homeless, formerly homeless, mentally ill, low-income, isolated (meaning no nearby family or support network) or Jewish. To find out if someone qualifies, a would-be client is invited to come by for lunch and then an assessment is done with an on-site social worker. Around half of the organization’s members come from the surrounding neighborhoods of the East Village, the Lower East Side and Stuyvesant Town/Peter Cooper Village. The rest, however, arrive by train from Staten Island, Brooklyn and the Bronx. There are also some homeless members living in shelters, but just a handful. Still, there’s no shortage of housing challenges faced by members. Project ORE’s Associate Director Jackson Sherratt noted a recent example of a client whose income was too low to qualify even for low-income housing. However, by earning $16,000 a year, the same client was also considered too rich for Medicaid. As for what ORE can do, Rullo said if a client has a history of homelessness or mental illness, the organization can apply for supportive housing. Then there are the clients in rent-regulated apartments who end up facing eviction due to hoarding, or worse, hoarding that leads to infestations of bedbugs. While Project ORE doesn’t employ attorneys, its social workers have advocated for tenants in court and there’s also in-house psychiatric support available that’s specific to helping hoarders. The organization will also communicate with landlords and co-op boards to assure them they’re working with the resident to alleviate the problem. And while ORE’s staffers have certainly encountered landlords who don’t want to be cooperative, they’ve yet to see a case where an accusation of hoarding is just an excuse to get rid of a low-rent paying tenant. For clients with a problem, clearing out apartments is sometimes done through contractors, as well as onsite psychiatric help, as long as clients agree to it. However, not all Project ORE clients have problems that require intervention services. While many are facing some kind of crisis, social isolation is also a big reason for showing up to the center. “This is a place where they can come in and make friends or partake in Jewish services,” said Rullo. The kosher meals are also a draw, with the center serving 40-50 people for lunch each day. At the dining room, meals are brought to clients rather than having anyone wait on line. This, said Sherratt, is to make it as different from a soup kitchen as possible so clients feel welcome to stick around. ORE’s headquarters, located in the building’s mezzanine level, overlook East 12th Street west of First Avenue, with the dining room its main common area. On a recent day after lunch was served, there were still half a dozen seniors sitting around either chatting or dozing at their tables. Several client-made paintings were on display on the walls. In a room nearby, a few others were watching a film. One client who was sitting in the dining room, a resident of the East Village, said he started utilizing ORE’s services after finding out about them through a friend. The man, who asked that his name not be published, said his friend had gotten sick and ended up at Bellevue Hospital. When he went to visit him, the friend asked that he let someone named Lenny from Project ORE know that he was there. When the patient’s friend went to the center to find Lenny, who turned out to be a social worker, Lenny asked him if he wanted to stay for lunch. So he did. Ten years later, the client still comes each day after walking over from his East 4th Street apartment. He does this, he said, for the exercise as much as for the meals, which come from a kosher caterer in Brooklyn. He also enjoys the center’s classes, which include Yiddish, a torah study group and fitness. Funding for ORE’s services comes largely from grants from the UJA Federation of New York, as well as individual donations. The annual budget is $700,000 for Project ORE as well as for Safety Net, a sister organization that’s geared towards the needs of local seniors who are homebound. At this time, Safety Net has 172 members while Project Ore has around 200. Due to a steady demand for its services, which are all offered for free, Project ORE has always run on a deficit, and Rullo said the organization is going to have to start relying more on private funds. “We can’t fundraise enough,” she admitted, “because it’s such a needy population.” Along with donations, the organization is also seeking volunteers, especially for the holidays, to do things like help serve lunch and connect with clients. One volunteer who was interviewed by Town & Village, Stuyvesant Town resident Dianne Vertal, said she recently got involved with ORE after hearing Sherratt speak about its mission. This was at an event at her congregation, Town & Village Synagogue. Prior to that, she’d also heard about Project ORE from a friend who’d been doing a research project on Jewish poverty in New York. When her friend mentioned that ORE needed help for a Veterans Day lunch, Vertal volunteered. 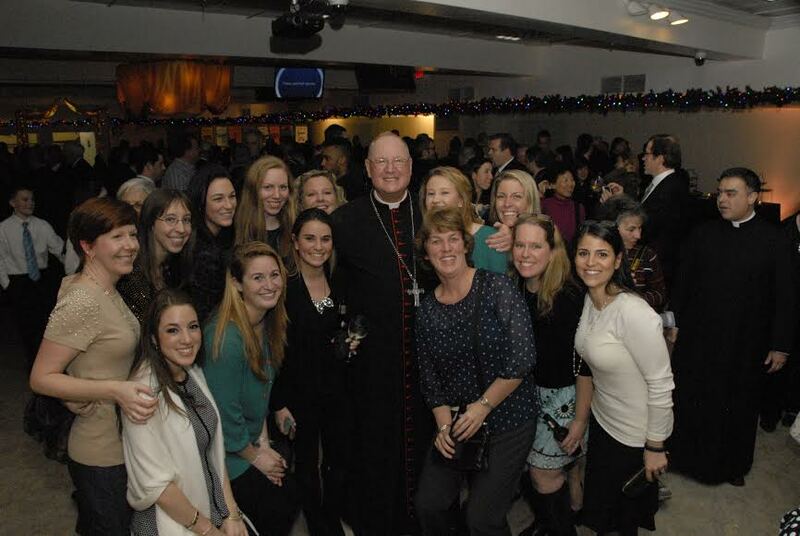 Cardinal Timothy Dolan, Archbishop of New York, made a special appearance at Epiphany Church last weekend to help celebrate the 125th anniversary of the parish’s school. During a mass held on Saturday night, Dolan showered praise on the school, which has been doing well financially, unlike so many other Catholic institutions in New York City, which have seen attendance and interest dwindle. “For the last three years we have been going through the painful but necessary process of making painful decisions to close and merge schools,” Dolan said. 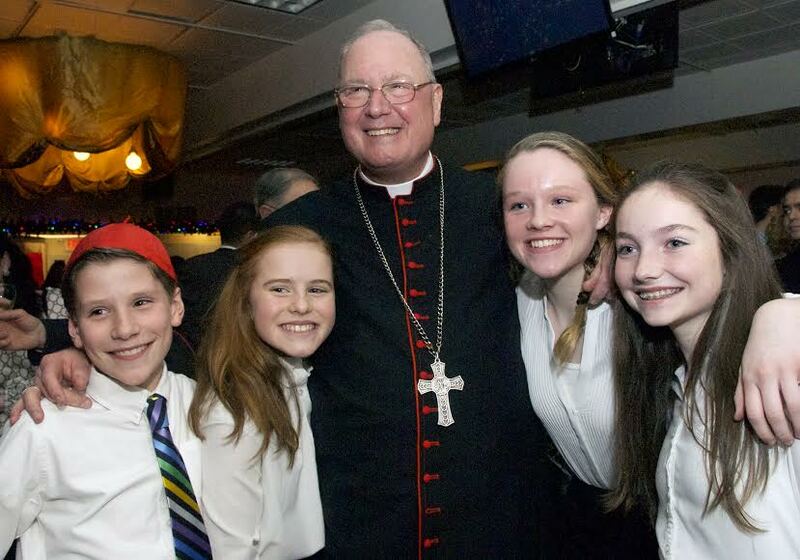 After the mass was a reception in which Dolan spent time greeting and hugging the students, parents and parishioners that wanted to meet him, while holding a beer in his hand. He also put his red skullcap on students’ heads when posing for pictures. He also called the service by Dolan “beautiful,” adding that it had always been part of plan to have the cardinal be part of the 125th anniversary celebration. 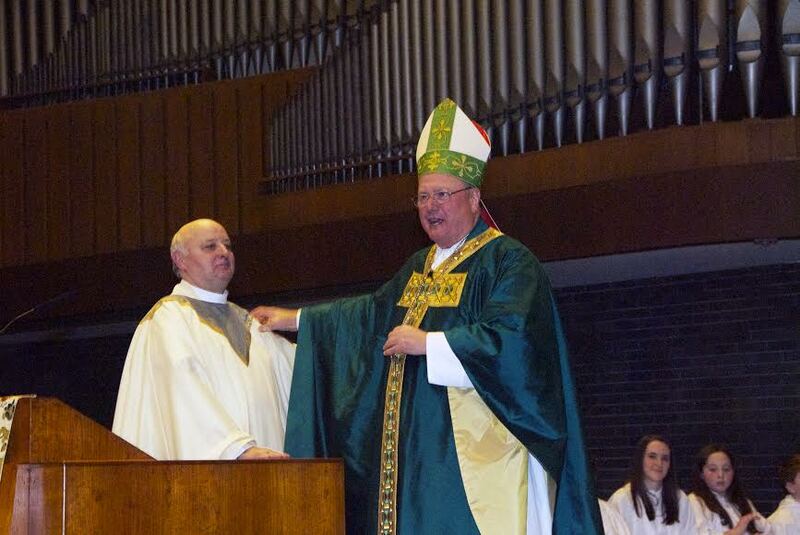 Hayes has known the cardinal for about four years but the principal said that this is the first time the archbishop has lead mass at the church. Following the service, parishioners and parents attending a reception expressed their appreciation for the school and for Dolan. for more than 50 years and whose now-grown children went to Epiphany School. Gargiulo, who moved to the neighborhood when he got married, said he and his wife had initially planned to move again to the suburbs. They never made it out of the city though and both of their kids ended up at Epiphany. Ed Maher, who lives in the Lower East Side and currently has a daughter attending the school, said that he comes to Epiphany events for the sense of community. “We don’t really have a community in our neighborhood downtown so we come up here for that,” he said. Chris McCartin, who also currently has a child enrolled and lives farther downtown, agreed that the school offers a more small-town experience within New York. 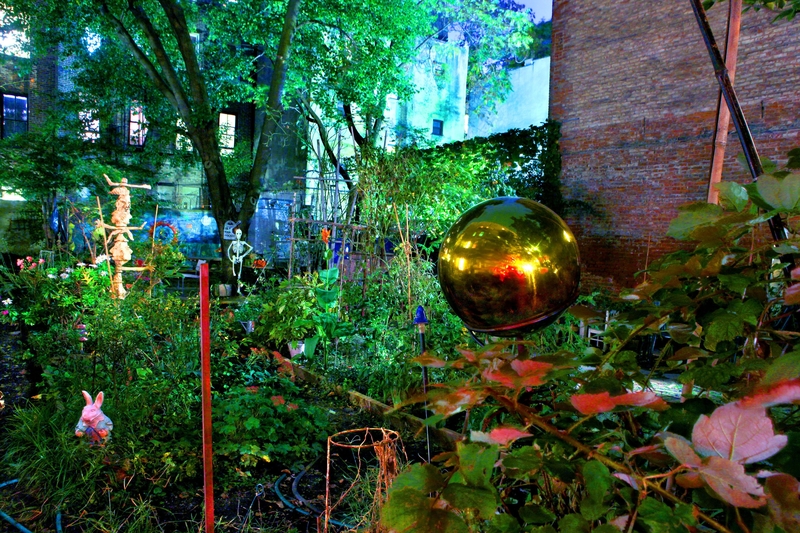 The Diaz y Flores Community Garden on East 13th Street is one of 30 local gardens to be photographed by George Hirose. Ever since the 1970s, when he moved to the East Village, photographer George Hirose found himself inspired by the scenes there that were both gritty and pretty. In particular, he was a huge fan of the community gardens that popped up then and the years that followed, since it was usually the locals’ way of thumbing – or rather greenthumbing their noses – at would-be developers of vacant lots. Now a resident of Stuyvesant Town, Hirose has continued his love affair with the community gardens and is involved in the tending of a couple of them. He has also, since the spring of this year, been working on an ongoing exhibit of photos he’s taken of the gardens in the East Village and along the Lower East Side. An exhibit is currently on display at the 14th Street Y, where Hirose will also be speaking about the photos on December 29 at 3 p.m. In addition, some of his photos are also on display across the street at Kati restaurant, 347 East 14th Street. So far, he’s captured 30 of the 39 gardens in the area, and there are some he wants to go back to. As for his own interest in the gardens, for Hirose, they were always a way to meet likeminded people, artists, musicians and other characters, along with the nightclubs in the Lower East Side in the 70s and 80s. They were also a way to enjoy a bit of nature close to home, allowing a brief escape from the crime-ridden streets and graffiti-covered buildings. However, even as the neighborhood gentrified over the years since then, the volunteer-run gardens still remained a special place to Hirose. A couple of them even had play areas for kids, and he would take his daughter to the gardens when she was younger. “Some of them don’t have much in them, some have a lot in them,” he said, adding that some are obviously run better than others. Naturally, he has more appreciation for those where volunteers have been willing to let him in at night when the gardens are normally closed so he can do his photography. The photos Hirose takes are always at night, enhanced by additional light sources he’ll bring into the gardens, since he wants to capture the bright colors of the trees and plantings. 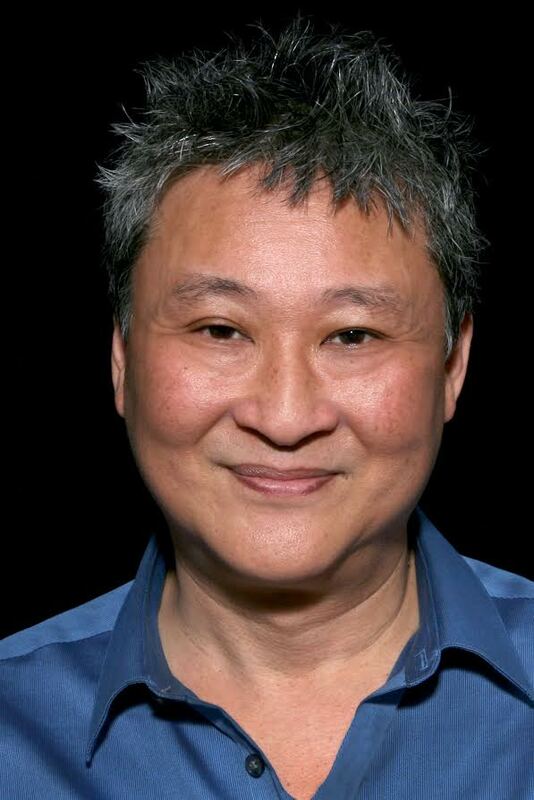 He also uses long camera exposures of up to 20 minutes and digital enhancements. 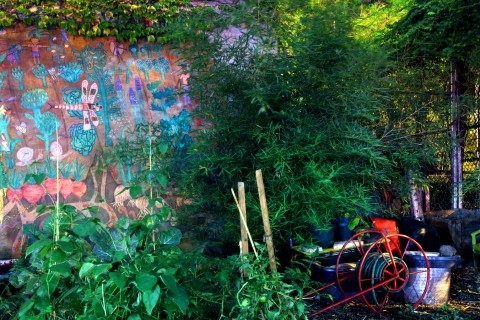 He’s also been concerned about the future of the gardens since one, called the Children’s Magical Garden on the corner of Norfolk and Stanton Streets, has been fighting to keep part of its space, which is slated for development of a six-story building. “In the Lower East Side, there’s no real parks except for Tompkins Square, so it is important,” he said. As for Stuyvesant Town, where he’s lived for the past 12 years, Hirose said he doesn’t feel compelled to photograph it much (though he’s made exceptions for the squirrel population). He also loves that it’s a natural bird sanctuary. Though he does think the grounds look attractive, the problem, said Hirose, is that the property is “too manicured for my photography,” and therefore lacking the personality and roughness of the community gardens. “It’s my home but I don’t feel a connection,” he admitted. Hirose’s photos will remain on display at the 14th Street Y, 344 East 14th Street between First and Second Avenues, through December 29. Hours are Monday through Friday, 6 a.m.-10 p.m., Saturday from 7 a.m. To 9 p.m. and Sunday from 7 a.m. To 9 p.m.
For more information, visit http://www.georgehirose.com. Lower East Side-based clergyman Richard del Rio, or, as the hog-riding, tattooed 61-year-old is better known in the neighborhood, “Pastor Rick,” will be on the ballot on Primary Day as the Democratic challenger facing Council Member Rosie Mendez. Del Rio, who founded his nondenominational church, Abounding Grace Ministries, over 30 years ago and has since become known as a community activist as well as a spiritual leader, said he is running because he feels there’s been a neglect of the poor and the elderly in the second city district, in particular NYCHA residents. Mendez, of course, is running for a third time, and, while del Rio was quick to say during a recent interview at his Avenue C campaign office that he isn’t about to “trash her,” he has referred to her as a “no-show” politician on his website. On NYCHA’s “infill” plan of leasing space on public housing parks and parking lots to outside developers, including at Campos Plaza, del Rio said he feels that the housing authority’s board has “not only neglected but dismissed the poor.” If elected, he said he promises to fight the plan, as well as fight to protect the rent-regulated housing that exists. Del Rio, whose parents were immigrants from Puerto Rico, has always worked directly with the poor since starting his church in “the worst area” of that time which was the Lower East Side. This place, cops, warned him, was where people sold heroin and their bodies. The idea of setting up a base there was to cut down on gang activity and crime, with del Rio saying he found the most effective way to do this was by befriending gang members and other young people who were failing school, homeless or facing other problems like incarcerated family members. Del Rio and his sons, then ages 3, 6 and 8, were often with him as he took a van around, in particular to Union Square, offering information about treatment and other drug-related programs. “They want to know you’re going to talk to them without judging them or even preaching to them, so I became friends with them,” he said. After asking his wife to make some sandwiches and hot chocolate — because he’d be inviting the gang over — the group talked some more and then, said del Rio, “It was my turn and I told them, ‘If you do this, this is just going to escalate.’” In the end, the retaliatory battle never happened. Del Rio said he became privy to the looming gang war from the cops, who he said he’s always enjoyed a good working relationship with. 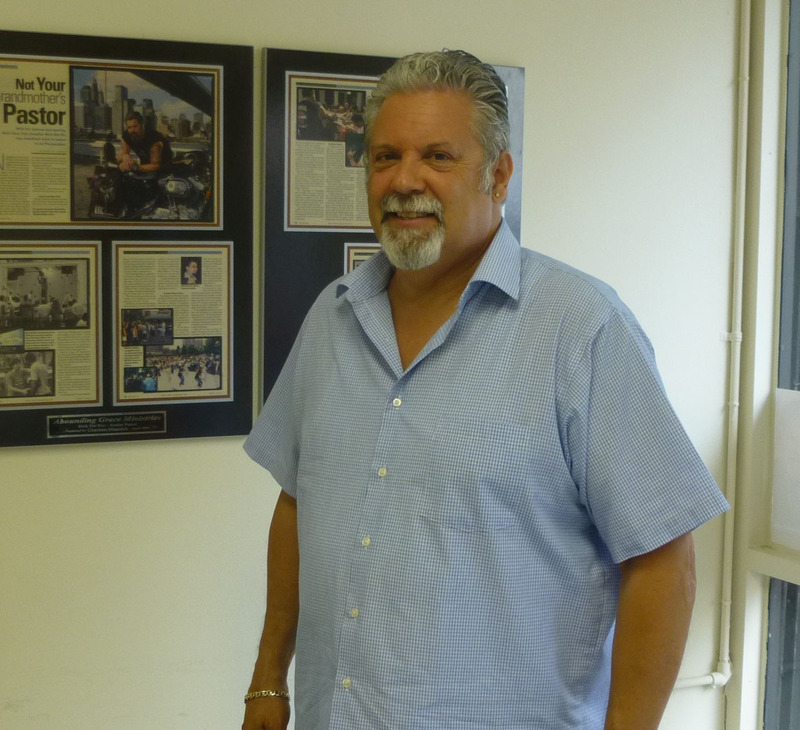 For the past 20 years, del Rio has been an NYPD police-clergy liaison. On crime these days in the district, del Rio is concerned about the still-occasional shootings at public housing projects, and attends meetings of the 9th Precinct Community Council. He has mixed feelings about stop-and-frisk, having once been on the receiving end of such an investigation in which he thought the officer’s behavior was “rude,” but also believing that the local cops – NYPD and those working for NYCHA – have a tough job to do. On education, del Rio is not a fan of the current system that shuts down failing schools. “Our mayor brags about being able to shut schools down; why in the world would he want to have that as his achievement?” asked del Rio. In 1996, del Rio and his family started a program called Generation X-Cel, which was aimed at helping kids who were failing in school and had other problems. His sons, who helped run it, had asked local kids, what kind of things they wanted to see in an after school program, and found that by asking, the kids got interested. The program ran at a space rented in a building at the Jacob Riis Houses, until the group was booted when NYCHA decided to use it for storage. The organization was replaced in 2008, though, by another program called 20/20 Vision for Schools, which was implemented at 16 schools. One of his sons is still involved with the program. Del Rio has a total of three grown sons as well as a grown daughter, now a registered nurse, who is adopted. She came from a family he knew, in which the mother was dying of AIDS. The mother had asked del Rio and his wife Arlene to care for her children, which they did, and he wound up adopting one of them. As for his pastoral duties, del Rio has operated his church in a space he rents at MS 34, a school on East 11th Street and Avenue D. Though he’s been less active at the church since he launched his campaign earlier in the year, he’s still been involved in some activities including a couple of local street fairs organized by clergy as well as an 18-year-old church tradition of holding an annual basketball tournament. “(People are) so dismissive of clergy, but clergy are servants you don’t have to pay and they have a relationship with the community,” he said. Richard del, Rio, not long after Hurricane Sandy, helps distribute food and supplies. Del Rio noted that it was through relationships he’d developed with locals and law enforcement that enabled him to respond to Sandy with trucks full of supplies. He and others, including groups from as far as West Virginia, distributed hot meals as well as things like blankets and batteries on the street on Avenue D. Eventually, 20,000 people were recipients of the supplies and 12,000 hot meals were served. On smaller issues, del Rio said he would like to do more for residents who feel that they’re living in “permanent construction zones” and be quicker about fixing things, like, for example, restoring a few Alphabet City bus stops that were recently removed. The removals were supposed to be temporary, he said, but complaints he’s gotten from local seniors have indicated that they weren’t. If elected, del Rio said he is hoping for a Democratic mayor that is either Bill Thompson or Bill de Blasio. Both, he said, have promised to have roundtables with local clergy.